Welcome to Pilates Place where change happens. We provide expert instruction. You obtain amazing results. Transform your body at our fully equipped apparatus studio. PILATES PLACE, the place where change happens! Bring balance to your body and life. The Pilates method, developed by Joseph Pilates, is a total body workout for men and women of any age. Pilates produces long, lean muscles without weight room bulk. It also improves posture and flexibility, and leaves people feeling energized and challenged. With over 500 exercises to choose from your workouts are always fresh and new! Pilates Place is a fully equipped studio. Sessions will include work on Reformer, Tower, Cadillac, Chair, Spine Corrector, Ladder Barrel, as well as mat work. The instruction at Pilates Place stands apart from other exercise modalities in terms of the personal attention you will receive. Pilates requires precise movement patterns, therefore it is essential the exercises be taught and preformed under direct supervision. All of our instructors have completed comprehensive certification programs that included up to 600 hours of study. Whether you are a solo client, or in a semi-private group of no more than four people our exceptional instructors will make sure your workouts are the best they can be! Pilates Place is a locally managed and operated studio. Natalie Bray and Julie Tafuri opened the studio in 2003. The studio is conveniently located in the Market Basket shopping center and is open seven days a week. Classes are by appointment. Please give us a call at (201) 891-5285 and schedule your complimentary session today! A customized pilates practice shared with a few other members. Your own personalized one-on-one pilates session. The studio uses multiple sources of information to provide you, the teacher in training with the best possible tools in the industry. 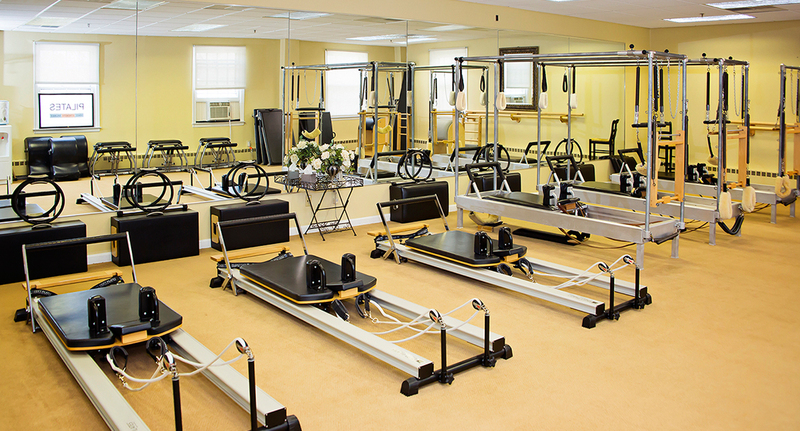 I have been taking Pilates at Pilates Place in Franklin Lakes for the past ten years. Whether I am practicing in a small group or taking a solo lesson, weekday or weekend, morning or evening class, the high quality of the instruction, cleanliness of the studio, and professionalism of the knowledgeable and creative teachers is consistent. The balance and posture exercises complement the flexibility, strength, coordination and endurance instruction. Pilates is not the same at every studio. Pilates Place is a luxury experience in fitness. I have been going to Pilates Place for 8 months and love it. When I started I was suffering with low back pain and sciatica. The instructors (every one of them is wonderful) worked with me in private sessions and in group classes to strengthen my leg and back. There is a tremendous improvement in my flexibility and strength and I am sure it will continue to improve. I feel Pilates is something I will be able to do for the rest of my life and would recommend that everyone try it! I am 55 and have been an active athlete my whole life and was a fitness instructor for over 25 years. About a year and a half ago I tore my rotator cuff and had to limit my boxing and other shoulder dependent workouts. My spin instructor at Sweat in Franklin Lakes highly recommended Pilates Place because they were professional instructors and “really knew their stuff”. In the last six months, my shoulder has gotten so much better that I have put the rotator surgery repair on the backburner! II was diagnosed with Multiple Sclerosis almost 17 yrs ago and 3 yrs ago diagnosed with Rheumatoid Arthritis. I have tried everything to stay healthy and most importantly continue to be mobile and out of a wheelchair. Started going to Pilates Places in early December 2016 ( usually 2 times a week) I am so much stronger and just feel better all the way around. I love everything about this place.